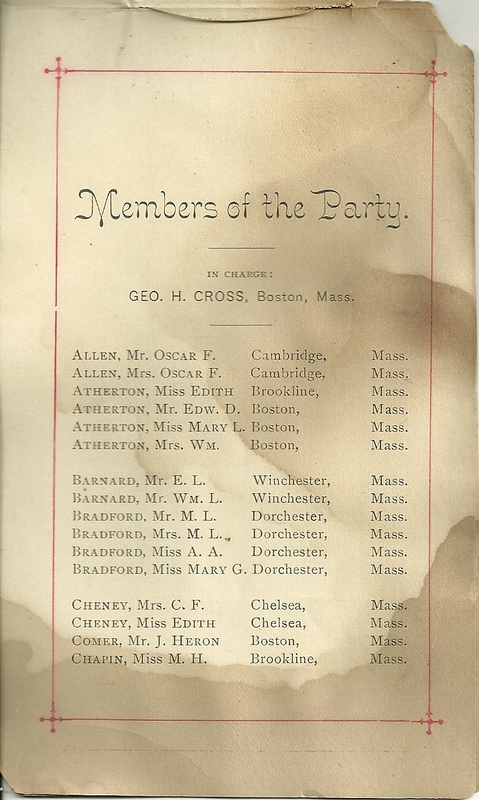 Souvenir List of Members of Columbian Exposition Party from Boston and New York, leaving Boston Wednesday, May 31, 1893. 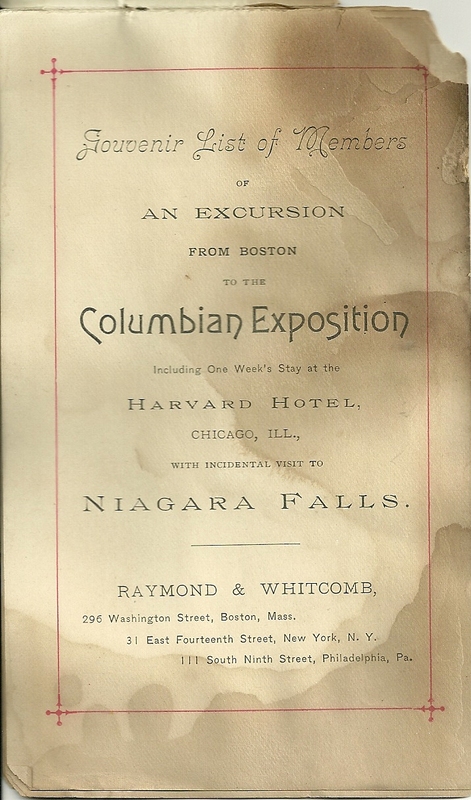 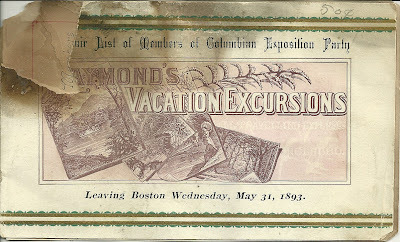 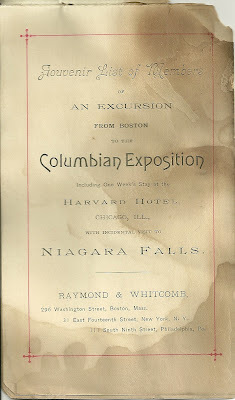 Souvenir List of Members of an Excursion From Boston to the Columbian Exposition Including One Week's Stay at the Harvard Hotel, Chicago, Illinois, with Incidental Visit to Niagara Falls. 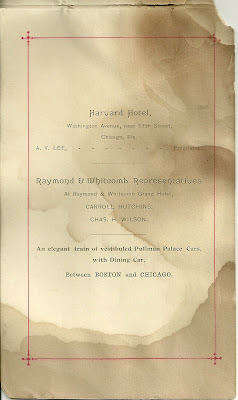 Raymond & Whitcomb,296 Washington Street, Boston, Mass., 31 East Fourteenth Street, New York, N.Y., 111 South Ninth Street, Philadelphia, Pa.
Mrs. Col. S. P. Lee, Washington, D.C.